A Symphony of Color for Your Garden! Everlasting Harmony Hydrangea (Hydrangea macrophylla 'Hortmahar' PPAF) will make your garden sing! This hardy perennial will provide years of gorgeous cut flowers for your home and thick, green foliage for your beds and borders. The Everlasting series of hydrangeas was originally bred for the florist trade in the Netherlands, a country known for centuries for their floral breakthroughs. 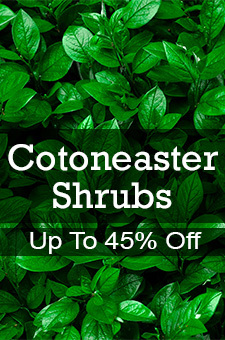 Everlasting Harmony is a great addition to this long and stellar line of shrubs. Easy-to-grow but tough-as-nails, Harmony is equally at home in the garden or the container. It will fit into any sized garden, whether massed in a large bed, or singly tucked into a shaded corner. It thrives in sun or shade and delivers perfect, healthy blooms all season long. The flowers are a long-lasting soft pink and cream, the color of strawberry milk. As they age they turn into either a deeper shade of pink or a soft powder blue, depending on your soil. Then, when the weather turns cold, they fade to a pale apple-green. They stay beautifully full and healthy for a long bloom period, whether on the plant or in the vase. Enjoy the soft, feminine color of Harmony all season long. Order yours today for blooms this summer.